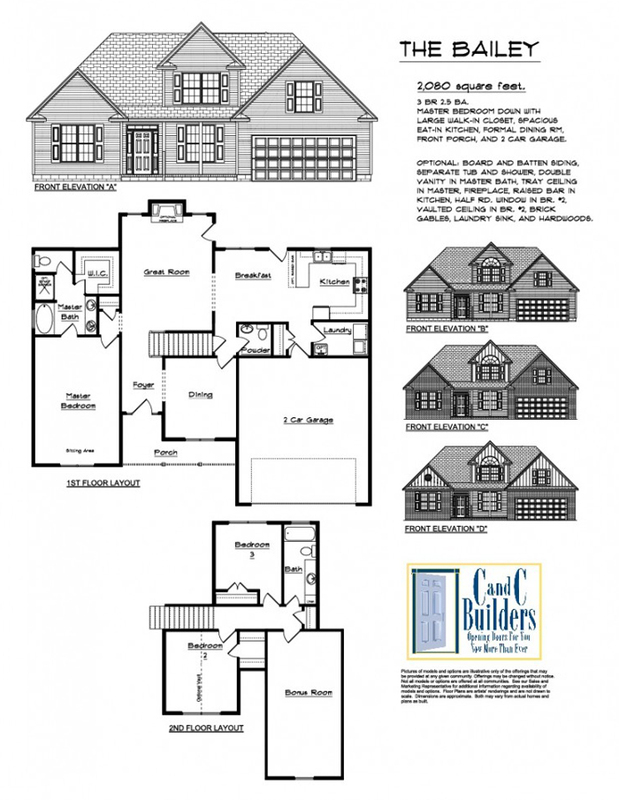 The Bailey, 2380 square feet, spacious 3 bedroom home with 2.5 bathrooms, master suite on first floor with private bath. Beautiful site built cabinets in kitchen and baths, smooth ceilings and walls throughout, granite countertops, bronze fixture package, santa fe style interior doors, hardwood floors in foyer, formal dining room & family room, ceramic tile in kitchen, breakfast, hall bath & master bath downstairs, 2 car garage with carriage style garage door with windows and remotes, brick exterior, hardi-plank in gable and jut out, covered rear porch and professionally landscaped front yard. "House shown is not actual house at this location, for representational purposes only." 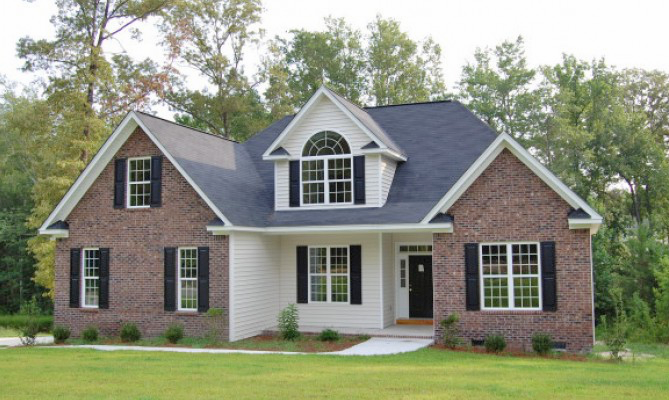 West Columbia, SC is about 15 miles northwest of Columbia, South Carolina. The town offers the convenience of living near the city but with the charm and small atmosphere of rural living.